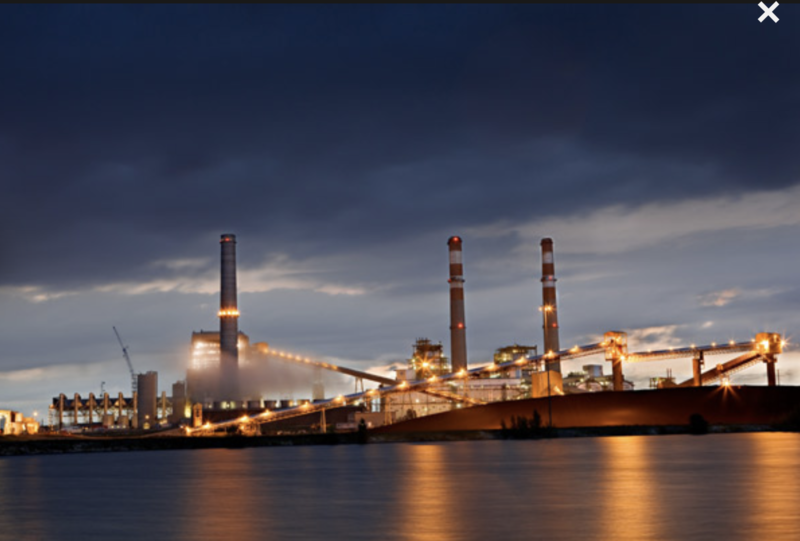 Since federal regulations kicked in a few years ago, coal-fired power plants are required to monitor and publicly report what happens to the residue from burning coal and determine whether chemicals are seeping from the coal-ash disposal sites into the groundwater. But the reporting process is inconsistent between facilities and the data collected is often complicated to interpret. So a group of environmentalists culled the data from 265 coal-fired power plants or ash dumps, including seven in Colorado, and found 91 percent had unsafe levels of one or more chemicals in nearby groundwater. My family and I recently moved back to my hometown of Lander, Wyoming. After 15 years of reporting on small town events, politics and happenings in Colorado, I dug into my first Wyoming story — a political piece for the non-profit news site Wyofile. It was a great way to toe my way into the issues, people and landscapes of this beautiful state. 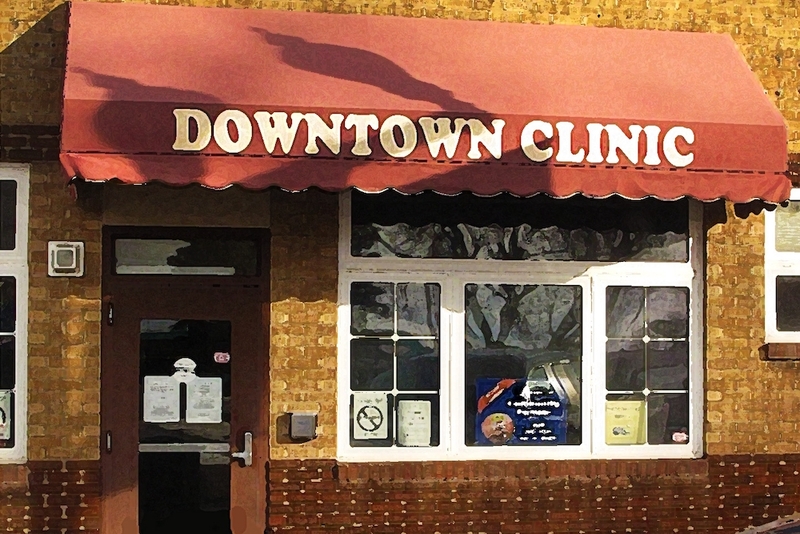 According to its director, the Downtown Clinic has received more than $20,000 in donations of cash and medical equipment since a prominent article ran in the Washington Post on Jan. 12. Donations have poured in from across the country and beyond, along with notes of support. View of Lake Mead and Hoover dam. Photo credit BBC. The latest study shows a shortage might be averted because of above-average snowpack, though the call for 2020 won’t be made until August. In New Mexico, the basin that feeds the Rio Grande is about 135 percent above median levels. Arizona and the six other Colorado River Basin states took a big step toward completion of a drought plan by asking Congress to approve it. The request is an acknowledgment by the states and the U.S. Bureau of Reclamation that they’ve now finished work on the plan to conserve Colorado River water to keep Lakes Mead and Powell from dropping to critically low levels. The seven basin states’ representatives signed the letter to Congress at a ceremony Tuesday in Phoenix. At a media teleconference held afterward, officials expressed hope for relatively speedy approval, and noted that both the U.S. House and the Senate are scheduled to hold hearings on the drought plan next week. Congressional approval of the drought plan will kick in a series of gradually escalating reductions in river water use by the Lower Colorado Basin, first mostly by Arizona but eventually by California with lesser reductions incurred by Nevada. The most serious reductions may well be forestalled for a year if not longer because of unusually heavy snows falling upon the colder Upper Basin states in February and early March. Because of the snowpack those storms left behind, the Bureau of Reclamation dramatically raised its forecast for expected Lake Mead levels in 2020 to the point where a major shortage is no longer likely then. 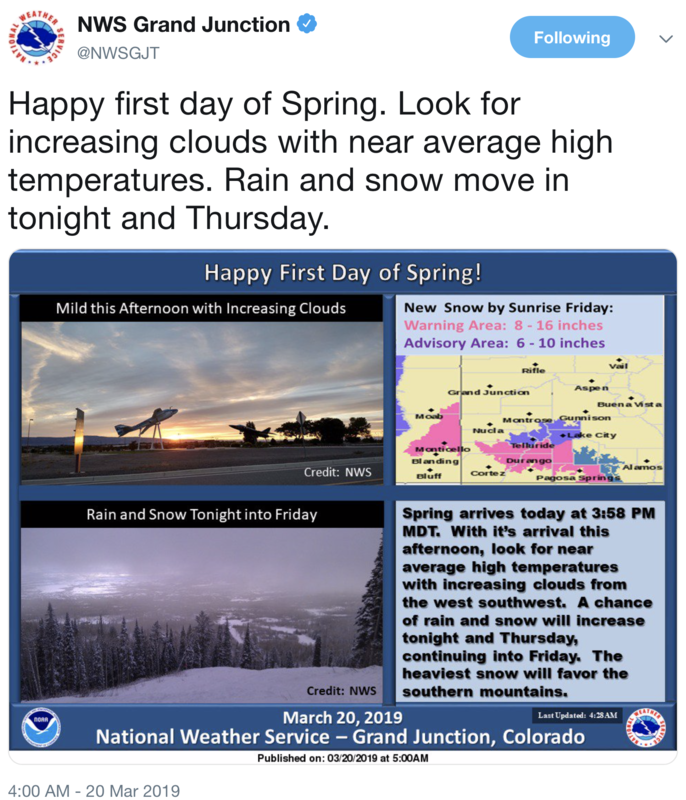 Through Tuesday, snowpack in the Upper Basin was 136 percent of normal. The predicted April-July runoff into Lake Powell, a key benchmark of the river’s health, is now at 133 percent of normal, which would be the 14th highest total on record. But since this year would get only the river’s sixth year of above-average runoff since the drought started in 2000, state officials at Tuesday’s teleconference stressed the need for continued vigilance and conservation of river water. 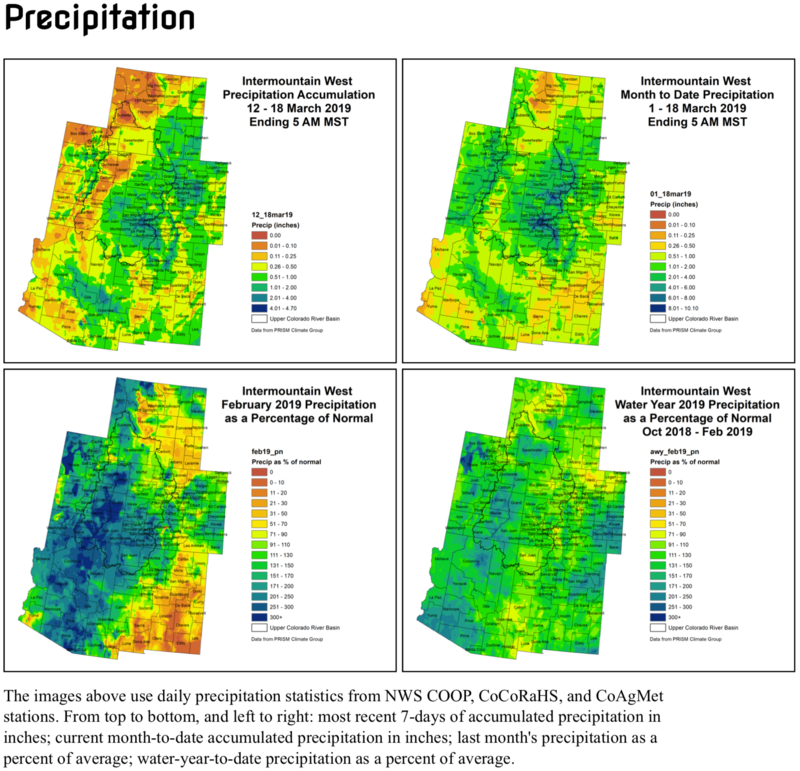 “What we do know is that as temperatures increase, that should reduce the river flows” from evaporation, said Terry Fulp, director of the bureau’s Lower Colorado Region. “If we look at this particular drought, we believe that is due in part to increased temperatures. Reclamation Commissioner Brenda Burman said she’s pleased to see that the seven basin states’ work is finished for now. She said she’s halting work on her previous plan to take written suggestions from the seven states on how to manage the river because of their then-unfinished business on the drought contingency plan, or DCP. 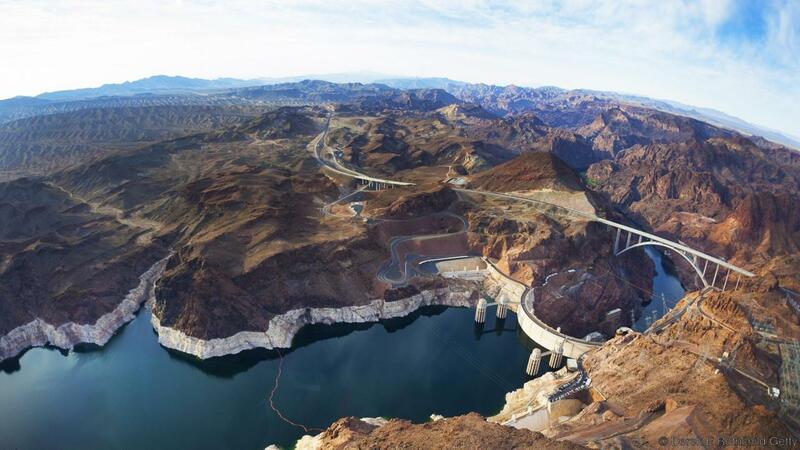 Even if Lake Mead doesn’t fall into the shortage trigger level of below 1,075 feet at the end of 2019, the new drought plan once approved will require Arizona to reduce its take of Central Arizona Project water from the Colorado by 192,000 acre-feet. That’s well below one-third of the entire CAP’s annual delivery. Once Mead drops below 1,075, the cuts will gradually escalate, starting at about 20 percent of the total CAP supply and topping off at nearly half the total supply, at about 700,000 acre-feet. The Imperial district’s participation in the drought plan wasn’t needed for its approval by the seven states. That’s because Southern California’s Metropolitan Water District recently agreed to conserve the water that Imperial decided not to leave in Lake Mead, thus boosting California’s total share of conserved water to the minimum required. Imperial District officials said the $200 million in federal funds requested for the Salton Sea would match more than $200 million of state funds already approved. They said it would not only help boost the sea’s shrinking habitat for birds and fish, but prevent toxic dust from the drying sea from hurting surrounding air quality and causing human health problems. Burman acknowledged the district’s concerns and said the federal government supports the Salton Sea restoration effort. But the U.S. Department of Agriculture, which controls the funding for such drought-related agricultural projects, is only now ramping the program up after Congress last year authorized such projects, and it’s impossible to say when the money will be forthcoming, officials said. While the signing was underway in Phoenix, a veteran board member of the IID spoke angrily at a meeting on the shore of the Salton Sea, condemning his counterparts for writing his district out of the deal and suggesting they were sipping champagne while ignoring an urgent “environmental and public-health disaster” at the shrinking lake. “They’ve actually made it worse than the original version by protecting water rights but not anything else,” Delfino said. Audubon California raised similar concerns. Other environmental groups, including Environmental Defense Fund and Trout Unlimited, applauded the completion of the drought plans. The seven Colorado River Basin States of Colorado, Arizona, California, Nevada, New Mexico, Utah, and Wyoming signed a letter to Congress today requesting legislation to implement a negotiated contingency plan that responds to the historic dry conditions and the effects of climate change on the Colorado River. As always, the congressional process could spark debate on other issues. Last week, the trade publication E&E News reported that there was some concern that some proposed legislation could override laws that require federal agencies to conduct environmental reviews. Congress is expected to begin discussing the plan in a Senate hearing on March 27. Sen. Catherine Cortez Masto is the ranking member of the subcommittee that will review the plan. “I look forward to discussing the drought contingency plan at the Senate Energy and Natural Resources subcommittee hearing next week and will continue to collaborate with my western state colleagues to solidify a plan that protects Lake Mead, the Colorado River and the water resources of those who live in Nevada and across the west,” Cortez Masto said in a statement. John Fleck, the director of the University of New Mexico’s Water Resources Program, said he had mixed feelings about the approval of the drought plan. He said the plan is necessary. At the same time, he said it was concerning the river’s largest water user was left out. “That could really bite us in the long-run,” he added. The district had planned to cut its use under the drought plan, with the condition that it received a commitment for $200 million in Farm Bill funding to restore the Salton Sea. The Metropolitan Water District, a powerful wholesale water provider for Southern California cities, said that it would cover the district’s cuts to allow the drought plan to move forward by March 19. It is possible that funding could still come in the future through U.S. Department of Agriculture programs that are still being developed. However, those programs will likely be competitive. 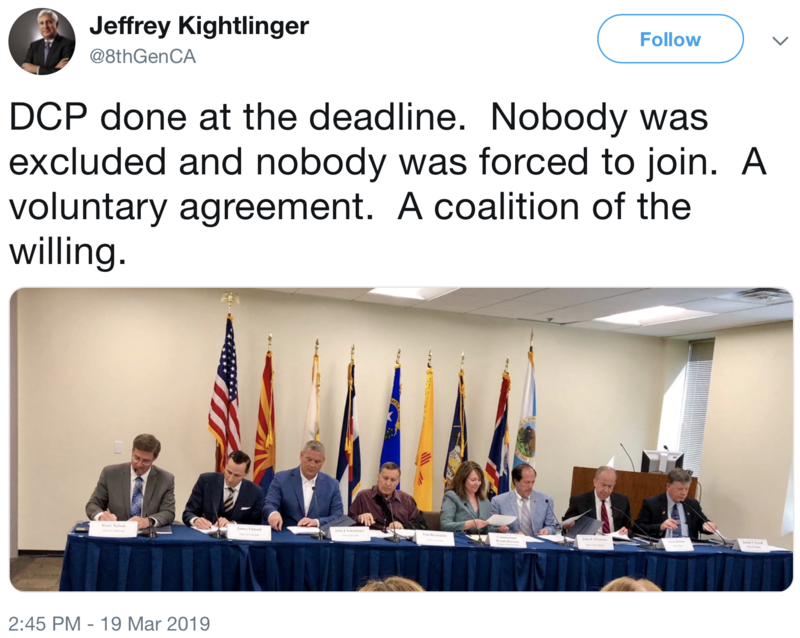 During the call, Entsminger noted that the states had written a letter one week ago, emphasizing the importance of finding a solution to the Salton Sea crisis. But he also said that the plan would not worsen the problem and needed to move forward. Once implemented, the states can begin leaving more water in critical reservoirs, Lake Mead and Lake Powell, to prevent shortages on a binational river system that supports agriculture and about 40 million people in the Southwest. The Southern Nevada Water Authority released a statement after the call, saying that the the drought plan was of “critical importance” and that the district’s claims were unfounded. The disagreement in California comes after months of infighting between water users in Arizona, the state would require to take the sharpest cuts under the drought plan. Many of Arizona’s issues have been resolved, although the state is still finalizing some agreements. Peter Nelson, chairman of the Colorado River Board of California, said Tuesday at the press conference that he was disappointed California could not move forward in complete consensus. But he said that the drought plan would not make the impacts to the Salton Sea worse. “It is my feeling we would have been better served with the Imperial Irrigation District participating with the state of California, but that was unable to happen,” Nelson said. A generous snowpack in the West is sitting at nearly 140 percent of average and may actually stave off an anticipated water shortage declaration in 2020 for the lower basin states. But Burman warned Tuesday that one wet year doesn’t erase 18 years of the driest period on the river in 1,200 years. “It takes years to recover from the type of intense drought this region has experienced,” he said. Eric Millis, director of the Utah Division of Water Resources, said the plans are the culmination of years of hard work. The components of the plans for the upper and lower basin states have to work in tandem, he added. For the upper basin, the magic number is keeping Lake Powell at 3,525 elevation, or 25 feet above the power pool elevation, Millis said. Take a helicopter ride with the Colorado Department of Transportation and see for yourself what they are up against on Red Mountain Pass. Footage of US 550, Red Mt. Pass, traveling north from Silverton to Engineer Pass Rd., then views of the highway returning back, south to Silverton. Severe snowstorms and epic avalanche activity have closed this highway, located in southwest Colorado, since Sunday, March 3, 2019. This video was captured on March 15, immediately following avalanche mitigation operations intended to knock down potential existing avalanches and snow slides that have kept road maintenance crews from working on the highway. Mitigation efforts were successful, and crews can now work safely (from avalanche danger) to clear snow and debris from the roadway. Operations are expected to be slow-going because many of the snow slides are “dirty,” containing rocks, limbs and even trees brought down from the mountain sides.